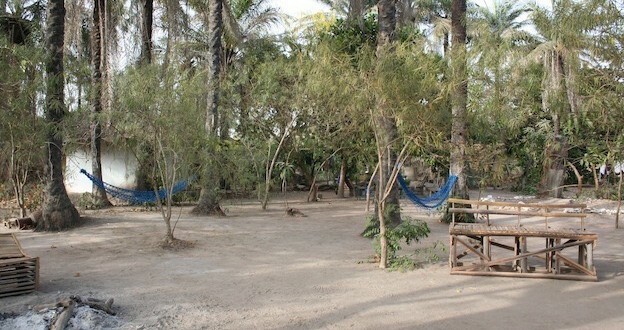 A peaceful oasis surrounded by mature trees - perfect for relaxing in a hammock or birdwatching! Our local beach - 20 minutes walk away and usually almost deserted! Over 100 species seen from within the compound. Use our bird hide overlooking our pool. 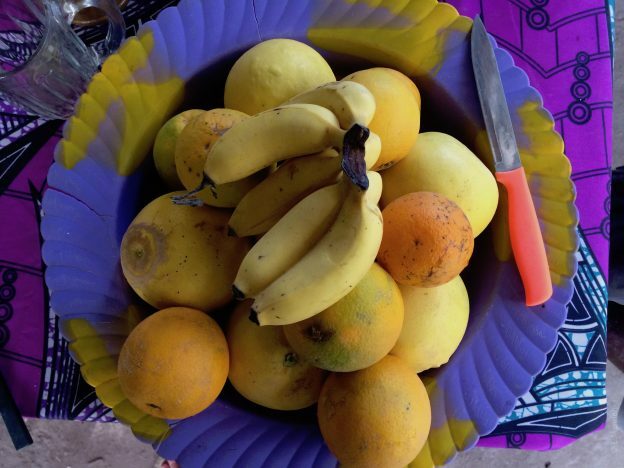 We grow much of our own food, including fruit and vegetables. Other ingredients are bought locally each day. Hidden away in an oasis of Gambian forest is Balaba Nature Camp, a beautiful and secluded eco-lodge, embracing the principles of responsible tourism. Here you can stay and rest in the peace and quiet of the unspoilt countryside. 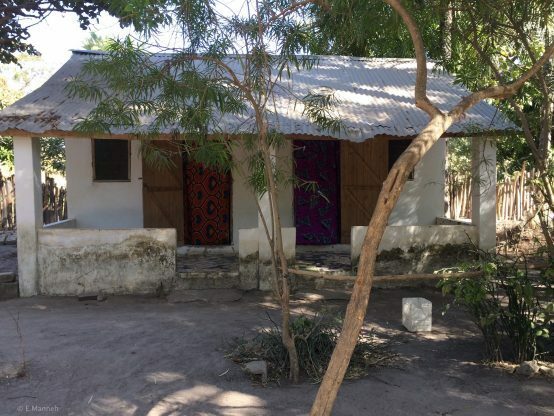 Located between the town of Gunjur and the village of Kartong in the south of the country, Balaba Nature Camp gives you an opportunity to experience living in a family-run compound, run by Lamin Manneh; if you are interested in sustainable tourism, and want to experience what it’s like to stay with a Gambian family, Balaba is the place for you! Lamin is keen to run Balaba as a sustainable eco-friendly camp, so facilities are simple and in the local style. There is no mains electricity – solar power and kerosene lamps are used for lighting (provision can be made for charging camera batteries etc.). All the water comes from the well, which is clean and suitable for drinking. However, bottled water, beer and soft drinks are available for a small charge. 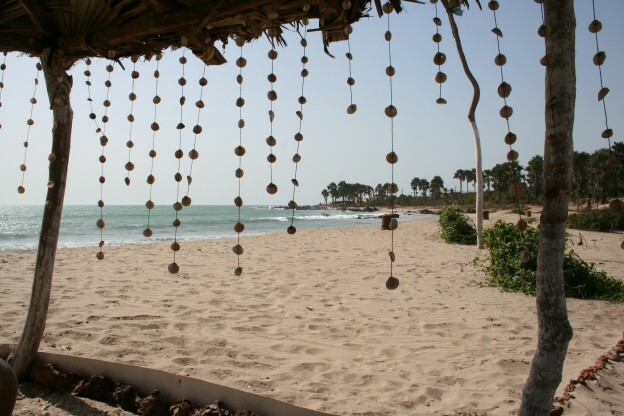 Balaba Nature Camp is the perfect spot for a Gambian holiday. You are welcome to spend the whole of your holiday here, just a few days (as a change from your hotel), or simply come and spend the day. Transfers to and from the airport or your hotel can be arranged. 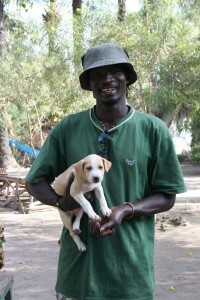 If you are keen to do some Gambian birdwatching, we can arrange day trips or longer tours. 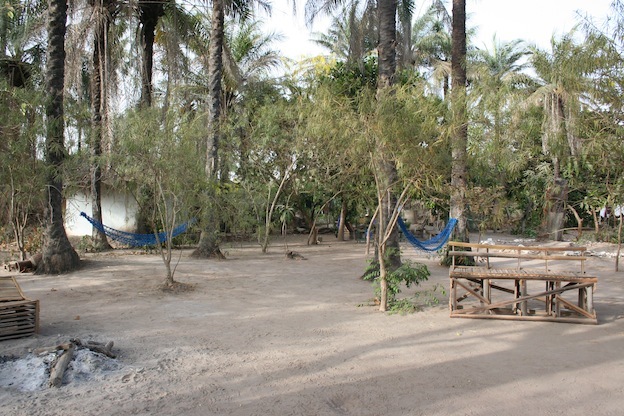 The camp itself is a haven for wildlife and we have our own bird pool and hide. See our ‘Balaba birdwatching’ and ‘Local birdwatching’ pages. We hope you enjoy browsing our site. Check here for prices and availability. If you’d like to contact us, see the sidebar for details. We are delighted to have a pair of Western Bluebills visiting regularly. These birds are described as ‘elusive’ and are not commonly seen outside the Abuko Nature Reserve, so we are pleased to have them. 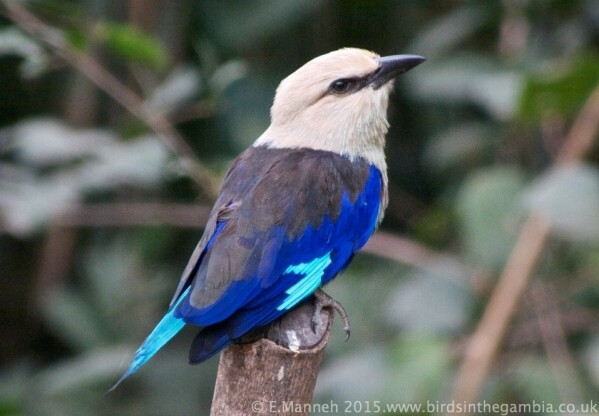 See our ‘Balaba Birdwatching’ page for more details.